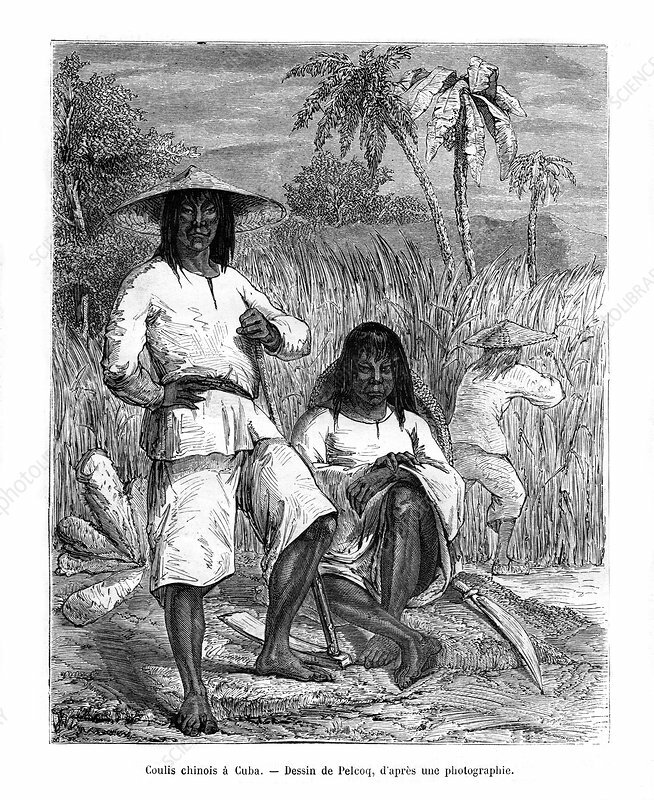 Chinese workers, Cuba, 19th century. Chinese coolies were used as cheap labour. Here they are cutting sugar cane. Artist: Pelcoq.